“China Shores” is an exciting slot machine game that can be played for free right above. The games comprises 30 pay lines; therefore, players can have a wide range of winning combinations. While talking about coin value, it can be set anywhere between 0.01 and 0.02 thus; even if a player selects the maximum, the stake will never be too high. 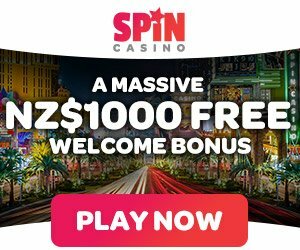 This game is one of the best Asian themed slots that you will ever play online or at a land casino location in New Zealand or around the world. Despite different Chinese symbols like gold tortoise, the Chinese lanterns, the urns, there is also a set of cards from 9 to Ace. It’s interesting to know that the demo version of the game is not restricted so, players can enjoy as long as they can. After this, they can think whether they would ready to try their luck with the original version which involves money. Wild symbol, It’s represented by panda which acts as a substitute to other symbols on the reels except for Ying & Yang symbols. And, the Scatter symbol is represented by Yin-Yang. Prior to starting with the game, it’s worth mentioning that the game has limited pay lines that are set at 30 lines a stake which means that the amount selected by the player is calculated by multiplying the total number of active lines appears on the screen and the stake each line. The most wanted button i.e. the spin button is available in the space between Max key and Auto key. Just click it after setting the amount to the wager to place the reels in motion. With the help of Bet per section button, players can pick out the total amount they wish to stake each line. There are two additional buttons available for increasing or decreasing the amount. On the screen, players can see an auto key which is specifically designed for the players who don’t like to spin the reel every time. By clicking it, players can also select the number of times they want to re-spin the reel. The Max key is to let the players set the highest wager. The scatter symbol is represented by the Yin-Yang. If a player obtains 3, 4, 5 anywhere on the screen, then 8,10, 15 free games get unlocked respectively. Additionally, all the free spins get multiplied by x2. The bonus named the balance of Fortune offers an attractive benefit, letting the players either choose any number of free spins or enjoy a mystery bonus prize for the exchange. China Shores is a popular free online slot and it has many attractive Asian symbols and bonus features which can provide the players with amazing wins if activated. The game also has good quality sound, interesting graphic effects and an attractive theme which can entertain the player for hours on end.